FILE - White House press secretary Sarah Huckabee Sanders talks with reporters outside the White House, Dec. 18, 2018. 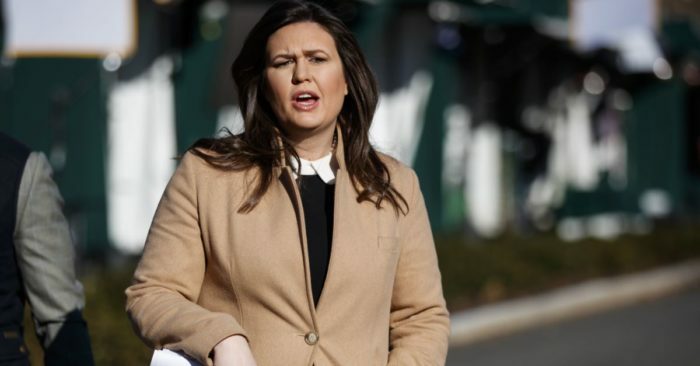 White House Press Secretary Sarah Sanders said Sunday the president wants to explore a twice-rejected proposal to send migrants to “sanctuary cities,” but it was not the preferred solution to fix the straining immigration system. Tags:Sarah Sanders sanctuary cities Categories: U.S.